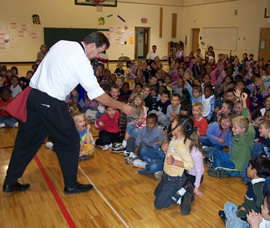 Gordon Russ has been performing school assembly programs for 20 years. Check out his different shows below. 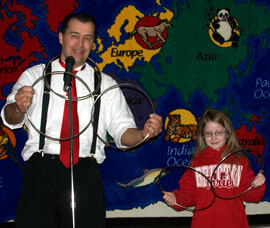 Gordon Russ has several shows aimed at providing a great show for families. Come check out all the fun his shows have to offer. Gordon saw his first magic show at his hometown library as a kid. He had so much fun he decided to become a magician himself. 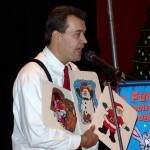 For the last 20 years he has been entertaining young readers with his fun filled magic show at libraries throughout the Mid West. Gordon has a number of programs that are excellent for Parks and Recreation programs. 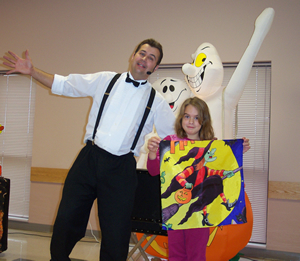 Whether you need entertainment for a seasonal event, family fun series, or his educational magic workshop. Gordon’s programs come with rave revues. All shows come complete with a sound system, fun music, hilarious magic and loads of audience participation. Check out our great programs that can serve you during any season. No matter the time of the year, there is something for you. 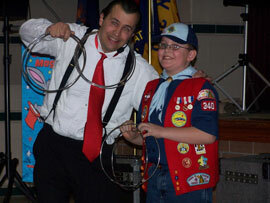 Gordon Russ has been performing scout shows for 20 years. Check out his different shows below.